Happy Holiday Season Rachio Fam! This season, introduce friends and family to the best smart watering technology, now $40 off for Black Friday! In an independent review, Wirecutter declared the Rachio 3 Smart Sprinkler Controller “outsmarts the competition” with easy-to-use app control, advanced smart home integrations, premium weather monitoring and more. Intuitive app control. Get watering control the way you want it with one-touch run, pause, skip or Quick Run. Category-leading integrations. Works with Amazon Alexa, Apple HomeKit, the Google Assistant, Nest and more. Reliable Weather Intelligence PlusTM. Make the most of every drop with the world’s most accurate weather monitoring. Share code BLACKFRIDAY40 with friends and family (or yourself!) 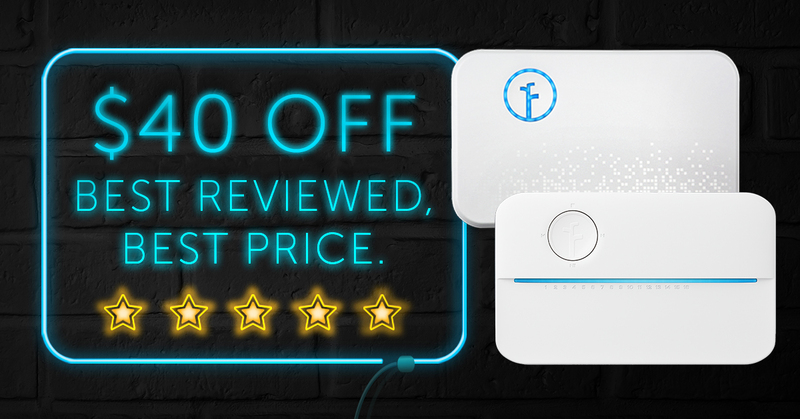 for $40 off ANY Rachio smart sprinkler controller at rachio.com. Or, get the same great pricing at our retail partners. It’s the best price on the best smart watering!